In September, news broke about the imminent eviction of families from a 64-unit Penn Hills apartment complex. Municipal officials condemned the dilapidated property, forcing most tenants to leave with only a few days notice. Prasad Margabandhu, the owner of record as of last January, knew the building wasn’t up to code. 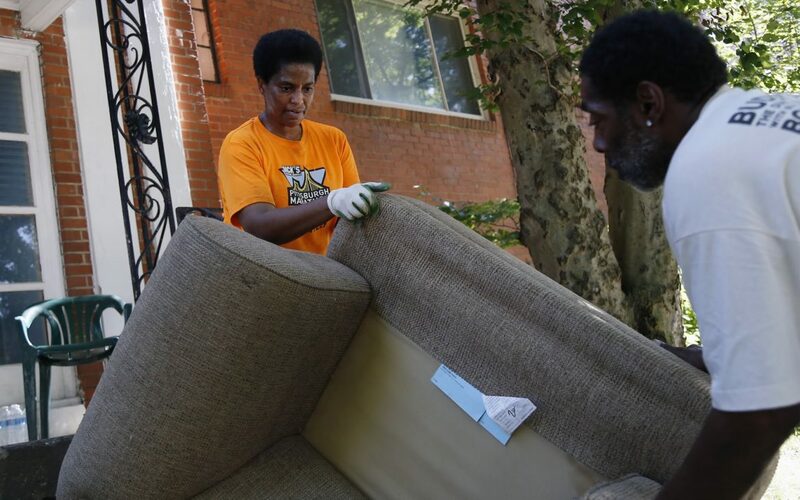 Margabandhu said he’d updated the alarm system and made some other improvements, but the Allegheny County Health Department discovered overflowing dumpsters and tires, couches and other trash strewn about the property. Tenants lacked running water and common area electricity. 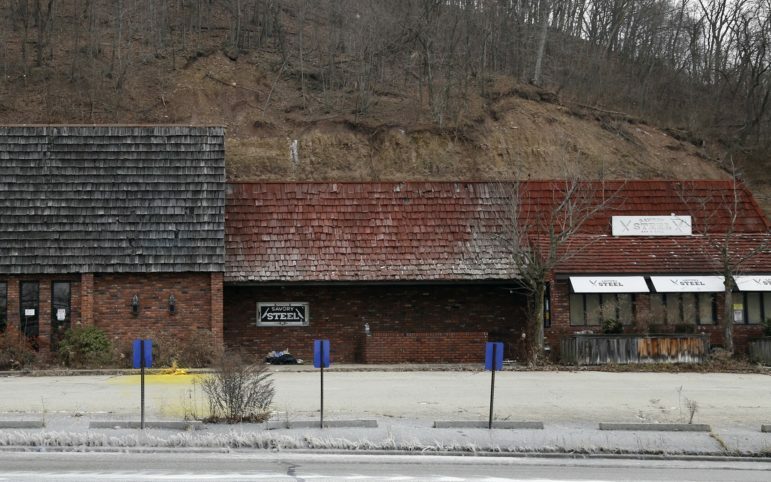 Penn Hills officials found that Margabandhu hadn’t secured occupancy permits. Though he claimed to be caught in the middle of a dispute over who actually owned the properties, Margabandhu still collected rent from some tenants. The dispute is being hashed out in court, leaving an estimated 20 families who remain at Valmar Gardens in limbo. This isn’t the first failed property for Margabandhu. Over the last decade he has purchased apartment buildings in Penn Hills, Carrick and Swissvale; houses in Mt. Lebanon, South Side, Turtle Creek and Mt. Washington; restaurants in Swissvale and McKeesport; a dilapidated church in Arlington; a gas station in Verona and a convenience store in Glassport. He’s obtained many of them through deed transfers or else shuffled them from one Margabandhu entity to another. Many now sit abandoned and run-down. Margabandhu has left a long trail of bankruptcies, unpaid taxes, code violations and litigation. Dozens of court cases have named Margabandhu (as well as his brother and business partner Sivram Margabandhu) as a defendant. His properties have been associated with illegal drugs and other illicit activities, according to court documents. The tenants’ situation at Valmar Gardens prompted the Allegheny County District Attorney to look into the matter, though a spokesman for the district attorney said the office is not pursuing criminal charges. Margabandhu’s practices serve as a prime example of the challenges municipalities and tenants face when trying to hold landlords accountable for failed properties and dangerous conditions. Margabandhu purchased many of his properties for a low price and then collected rent, while minimally improving and maintaining the properties and failing to pay taxes, according to court filings and county real estate records. Eventually, many of these properties have been foreclosed or condemned — including an apartment complex where, similar to Valmar Gardens, tenants were living in potentially hazardous conditions before being evicted on short notice. Associated business entities have filed for bankruptcy, potentially tying up buildings in legal processes for years. Reporting for this article found that taxes have gone unpaid for multiple years on at least 13 Margabandhu properties. And Margabandhu has filed for bankruptcy on at least a dozen businesses, including PA Real Estate Development Inc., which owns Valmar Gardens. The case was dismissed in March 2017 when Margabandhu failed to submit required documents. In the meantime, lawsuits against Margabandhu have claimed he is not paying contractors — the beverage vendor, linen supplier, even the cable guy. Operating within a matrix of business entities and addresses that make it difficult for municipalities to track his properties and foreclosures, he simply moves on to the next investment. His approach has had human costs. At Valmar Gardens and other apartments, unsafe living conditions have forced tenants to leave their homes and relocate, often on short notice. Penn Hills officials discovered that the Valmar Gardens complex on Robinson Boulevard lacked an adequate fire alarm system and didn’t have running water and common area electricity. So officials posted an eviction notice on Sept. 12, giving tenants five business days to move out. Tenants fought the eviction. In late September, with legal help from Neighborhood Legal Services, they negotiated an agreement with Wilkinsburg-Penn Joint Water Authority and Penn Hills to restore water service and continue living there temporarily. Still, most tenants have moved out. About 20 units remain occupied, all of them low-income and, according to court filings, many tenants are elderly or disabled. In a Jan. 8 interview, Margabandhu said confusion over ownership had made management of the property difficult. A company called Bayview Loan Servicing LLC had purchased the property at a sheriff’s sale in Sept. 2017, but the previous owner, Good Home LLC, challenged the validity of that sale. Good Home then signed the deed over to Margabandhu’s PA Real Estate Development Inc. for $1,000, even as ownership remained in dispute. The future of Valmar Gardens and the homes of about 20 families remain uncertain. 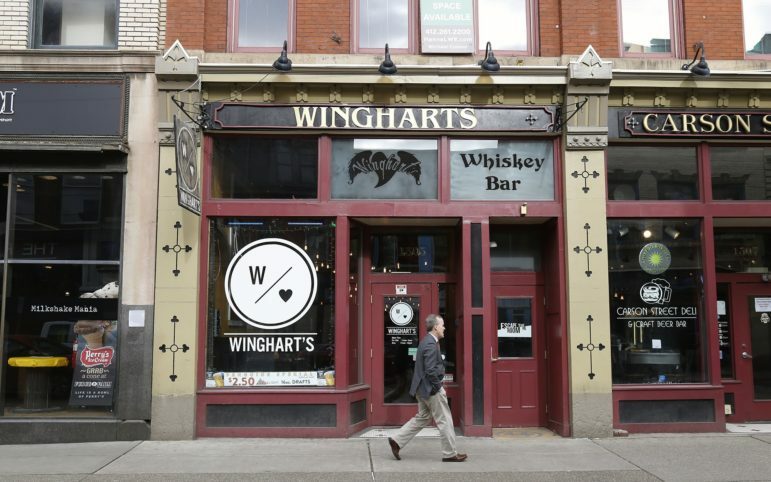 Meanwhile, one of Margabandhu’s most prominent assets is Winghart’s Burger and Whiskey Bar, which has three locations — in Market Square Downtown, Carson Street on the South Side and in Greensburg. Among usual bar fare, Winghart’s serves an entree called Pizza Prasad, a vegetarian dish. Margabandhu recently appeared before city council asking for approval on a liquor license transfer associated with Winghart’s. 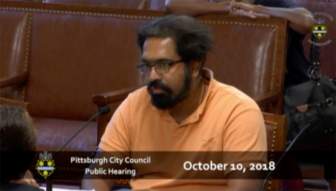 Margabandhu’s practices beg the question: How is someone with such a long and public track record of insolvent properties and bankruptcies able to continue purchasing real estate and conducting business in the Pittsburgh area? In this particular case — a Chapter 7 bankruptcy proceeding for Margabandhu’s Maya Restaurants Inc. — Margabandhu attempted to have a bankruptcy trustee arrested for burglary and trespassing when she inspected his property, a typical procedure in bankruptcy litigation. Taddonio ordered Margabandhu to pay nearly $10,000 in legal fees and other expenses associated with the incident. Margabandhu failed to make payments, so Taddonio found him to be in contempt of court and began levying an additional $100 penalty for each day he failed to make the original payment. The case revealed not only Margabandhu’s “habitual lack of candor,” according to Judge Taddonio, and “instances where Mr. Margabandhu failed to disclose material facts or provided misleading statements,” but also a window into how he handles real estate investments. In June 2014, Margabandhu purchased the building at 623 Long Run Road/Route 48 in McKeesport, a former restaurant and banquet facility known as the Lemon Tree. Under the business name Maya Restaurants Inc., and in this case using the personal name Prasad Bandhu, he paid $100,000. According to multiple news reports at the time, Margabandhu planned to reopen the Long Run Road property as Savory Steel Bar & Grille, a family restaurant and sports bar; he told McKeesport City Council the project could bring 70 new jobs. But the building remains unused. Taxes have gone unpaid. In October 2016, just more than two years after purchasing the building, Maya Restaurants filed for Chapter 11 bankruptcy, a process that enables a company to reorganize and formulate a plan to pay creditors over time. Margabandhu failed to pay bankruptcy fees or submit required monthly reports, so a year later the court, acting “in the best interest of creditors,” moved Maya Restaurants into Chapter 7 bankruptcy, in which the court appoints a trustee to liquidate assets and distribute proceeds to creditors. Valmar Gardens isn’t the first of Margabandhu’s failed apartment complexes. In 2017, Swissvale borough officials responded to a medical emergency at Margabandhu’s apartment building at 1906 Monongahela Ave., which he had purchased in October 2015 under the business name Glassport Hotspot LLC. There, officials discovered electrical hazards and non-working smoke detectors; Margabandhu had not obtained occupancy permits for the units, which would have triggered an inspection. So the municipality levied a $10,000 fine. As at Valmar Gardens, tenants were ordered to leave their homes. The borough also sued Margabandhu for $29,476 in unpaid taxes, garbage collection and fees. Also in Swissvale, Margabandhu’s JIYA Co. purchased an unused restaurant at 1814 S. Braddock Ave. When JIYA Co. filed for bankruptcy in September 2017, property taxes had not been paid. City of Pittsburgh Property Developments Inc.
Pgh Burgers & Fries Inc.
Six months after Margabandhu bought the Monongahela Ave. building, his company Brownsville Berg Associates obtained troubled apartments in Carrick. Under the previous owner, the Brentshire Apartments complex at 2531-2539 Brownsville Road had been shuttered by the Allegheny County Health Department due to the presence of raw sewage and other code violations. Tenants — many of whom were reportedly Bhutanese refugees — had been forced to leave. The city attempted to take over the condemned property, but before the property could go into sheriff’s sale, Brownsville Berg Associates filed for bankruptcy and delayed the process. Margabandhu failed to file a plan to restructure the company, which owed $743,316 to the city, county, Pittsburgh Water and Sewer Authority and others, according to court filings. The court successfully petitioned to move the company to a Chapter 7 bankruptcy and take over all assets. According to county real estate records, Margabandhu purchased 1906 Monongahela Ave. for $2,000 and the apartments on Brownsville Road for $1. He purchased these buildings and at least four other properties from Davin Gartley and his company R.A.E.D. Investments Inc. Gartley, his wife Julie Gartley and Margabandhu’s company Bandhu Development Inc. are named in court proceedings for a foreclosure on a Mt. Lebanon house on Lakemont Drive. Davin Gartley has spent time in jail for failing to pay health and building code fines, and he’s had many of his own buildings shut down by officials who deemed them unfit for tenants. In fact, in 2012, the state attorney general sued Gartley for renting uninhabitable properties. Gartley was also charged with running a prostitution business at a property he later sold to Margabandhu, but charges were withdrawn. PublicSource attempted to reach Gartley through lawyers listed in court documents but has not been able to reach him. Court documents list various aliases for Margabandhu: Prasad Margabanohu, Prasad Marugabandhu, Prasad Banbhu, Prasad Margabandhy. Reporting for this article also uncovered two dozen businesses owned by or associated with Margabandhu. Court and Allegheny County real estate records tie many of Margabandhu’s businesses and properties to a residence that he owns in Murrysville on Trafford Road (deeded in May 2018 from Margabandhu to Bandhu Property LLC). The 3,500 square-foot home with five bedrooms and five-and-one-half bathrooms has an estimated value of $503,945 according to Zillow.com. The property has been delinquent for nearly $30,000 in taxes. In some cases, one Margabandhu entity has transferred a property to another Margabandhu entity. For example, in Mt. Lebanon, Davin and Julie Gartley sold their Lakemont Avenue property to Margabandhu’s Bandhu Development Inc. in 2015, which sold the property in 2017 to another Margabandhu company — The City of Pittsburgh Property Developments Inc.
Monroeville Mall: The owner of the Monroeville Mall, Tennessee-based CBL Properties, has sought $1.1 million from Margabandhu and Sivram Bandhu and their companies Prasiv Inc. and Bandhu Brothers Inc. In an August 2015 court complaint, CBL claimed that Winghart’s Burger and Whiskey Bar, operating out of the mall at that time, had not paid rent for nearly two years and owed CBL for costs associated with trash removal, utilities and other fees required under the lease agreement. A response to the suit said CBL’s choice to rent nearby space to a competitor, Red Robin Gourmet Burgers and Brews, and the occurrence of several violent incidents at the mall hampered Winghart’s business volume and revenue. One of those incidents occurred at Winghart’s. In April 2015, an estimated 500 college-age partygoers arrived by the busloads to a Winghart’s-hosted event. Festivities spilled into the mall parking lot and resulted in fighting and gunshots. Police were called to the scene. The lawsuit remains in process. A CBL spokesperson said the company does not comment on pending litigation. Wingharts’s no longer has a location at the Monroeville Mall. 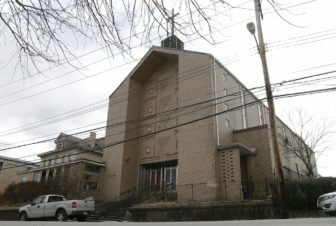 St. Henry Church in Arlington: In 2014, using the business name Pgh Burgers & Fries Inc., Margabandhu purchased what had been St. Henry Church at 2428 Arlington Ave., paying the Diocese of Pittsburgh $25,500. Property taxes have not been paid. The building has remained dormant and the City of Pittsburgh has cited Margabandhu for multiple code violations. Other unpaid property taxes: The county, city and school district have sued Margabandhu for nearly $58,000 in unpaid taxes on just one South Side property, 133 S. 22nd St. Also, Margabandhu owns residential properties on Natchez St. and Boggs Ave. in Mt. Washington. Taxes have gone unpaid for several years on these and many of other Margabandhu properties. Gas station and convenience store: Margabandhu purchased a former gas station at 4689 Verona Road in Verona in 2009. Doing business as Kamakshi Inc., Margabandhu paid $325,000. Taxes were not paid for several years leading up to 2018 when Pho Real Estate purchased it. In Glassport, Margabandhu bought a convenience store near the intersection of Monongahela Avenue and Sixth Street that he reportedly said would become a Subway restaurant, paying $60,000 for the property in 2010. He sold off the building five years later. On Wednesday, Sept. 19, the Allegheny County District Attorney’s office sent detectives to visit the Valmar Gardens apartments to “try and gather more information on what is happening with the tenants in that building,” according to an agency tweet. In an email, spokesperson Mike Manko stated that the DA’s office was prompted by correspondence from community groups advocating for tenants. Manko wrote on Jan. 7 that, “We have been working extensively with Penn Hills on this issue and we appreciate their efforts to get the building boarded up and to relocate the residents affected … [O]ur review of the operation of Valmar Gardens has not turned up anything that we can proceed on criminally.” He also stated that he is not aware of any other investigations into Margabandhu’s other properties by the district attorney. On Dec. 5, attorneys representing several tenants filed a suit asking the Court of Common Pleas of Allegheny County to appoint a receiver to take over the property, citing deteriorating conditions and the ongoing ownership dispute between Margabandhu and previous owners. On Jan. 7, the court appointed Pivirotto Real Estate Co. as that third party, which is now responsible for managing the property and bringing it up to code. About 20 remaining families will continue living at Valmar Gardens, but the fate of their homes is anything but certain. In the meantime, Margabandhu continues to face various foreclosures, code violations and lawsuits for unpaid rent and taxes. He also continues to operate Winghart’s Burger and Whiskey Bar. One new lawsuit involves the restaurant. On Oct. 2, the landlord of Winghart’s 1505 Carson St. location filed suit against the restaurant for failure to pay rent and water bills dating back to August 2017. The plaintiff claimed Margabandhu was in arrears for almost $27,000. Amid it all, Margabandhu recently petitioned Pittsburgh City Council to transfer a liquor license from the closed Monroeville Mall Winghart’s location to the Market Square one. At a public hearing in council chambers on Oct. 10, he testified that the transfer would enable his company to remove an old business partner from the Monroeville license. During proceedings, he acknowledged that the Pennsylvania Liquor Control Board [LCB] had cited the Market Square Winghart’s twice for underage drinking and once for serving patrons in an unlicensed area. Kraus took that hearing as an opportunity to raise concerns about Margabandhu’s management of the old St. Henry Church in Arlington, a property in Kraus’s district. None of the other litigation, bankruptcies or citations mentioned in this article were addressed. “I’ve been trying to track you down for three years,” Kraus said, before ticking off a list of at least a half dozen citations starting in summer 2016 for debris, overgrown weeds, people living within an abandoned structure, lack of maintenance, and construction without a permit. Unable to reach Margabandhu, Kraus had resorted to contacting the local news program Target 11. Kraus also read off neighbors’ concerns about rats and racoons, loud music, “banging” at all hours of the night and the pumping of raw sewage from the church’s basement into the street. Reading from a stack of paper files, Kraus enumerated property taxes that had gone unpaid since 2015. Kraus dropped the sheaf of papers on the table in front of Margabandhu. Margabandhu said he was appealing the taxes due to an inflated property assessment and that, until recently, his corporation had other shareholders who made it difficult for him to control the situation. According to state statutes, council tacitly approved the license transfer when it did not vote on the application within 45 days of the Oct. 10 hearing. On Dec. 21, Margabandhu had a business meeting at the mayor’s office. According spokesperson Tim McNulty, Margabandhu met with McNulty and Assistant Chief of Staff Grant Gittlen to discuss a tech incubator Margabandhu is proposing in East Liberty and to update them on the state of his Carrick properties. In a Jan. 8 phone interview, Margabandhu said that he wants to create a tech center at his Arlington property, attracting some 100 entrepreneurs that would each pay just 25 or 50 dollars a month for shared office space. “We’re working on a bunch of start up concepts. I’m more of a tech guy,” he said. He gave few details about his business plan or meeting at the mayor’s office. He’d not discussed these new plans with Council President Kraus. Margabandhu then reflected upon Valmar Gardens and the rest of his investments. He also said that the properties “we worked on and had control over, we got them operational and cash flowing.” When asked for a specific example, he pointed to 133 S. 22nd St. on the South Side. As noted previously, that property still owes back taxes of nearly $58,000.